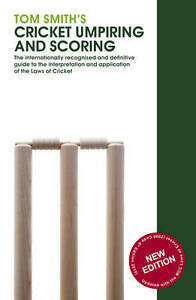 Description The essential and fully revised guide to interpreting the Laws of Cricket. Author Biography Tom Smith founded the Association of Cricket Umpires and Scorers in 1953 and served as its General Secretary for 25 years. It now has more than 8,000 members world wide. On his death in 1995 he willed his cricketing 'bible' to the Association, who have ensured its continual updating ever since. https://twitter.com/Tcp24 Follow Tom Smith on Twitter at https://twitter.com/Tcp24.